Since beginning in 2005, at the GRCA National Specialty in Gettysburg, PA, the Golden Retriever Foundation (GRF) has sponsored DNA collections clinics at the National Specialties. We also support individual clubs who wish to run a DNA “Mass Collection Clinic” at one of their local events. The blood collected (or occasionally cheek swabs) are sent to the OFA-CHIC DNA bank located at the University of Missouri. The samples are used to supply researchers with DNA, so they do not have to spend the time and effort to do their own sample collection. There is normally a fee for submission to this “bank”. 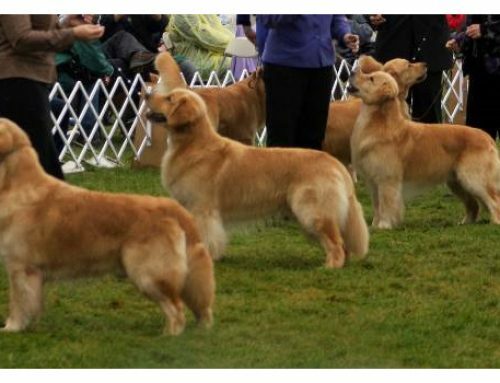 The GRF pays the submission fee for Golden Retrievers collected at a “mass collection clinic”. Our initial goal was to have 4,000 unique samples in the “bank”. So far, we have more than 4,000 samples, the largest representation of any AKC breed. The histories and pedigrees supplied to the researchers are used to enable them to trace family units and help determine the hereditary characteristics of the disease or disorder being studied. The samples have been used not only in hereditary disease research, but cancer, genetic and orthopedic disorders as well. The researchers use the samples to help determine if there is a way to screen dogs for a specific disease or disorder, or to develop tests that can give us more information about response to chemo-therapy, for example. This initiative is about supplying the researchers with samples to help keep the research going. The ultimate goal is to find the cause, ways to diagnose, prognosticate and treat these awful hereditary problems. If you can help by donating samples from your dogs, it will save the most time to have your submission forms filled out in advance! !